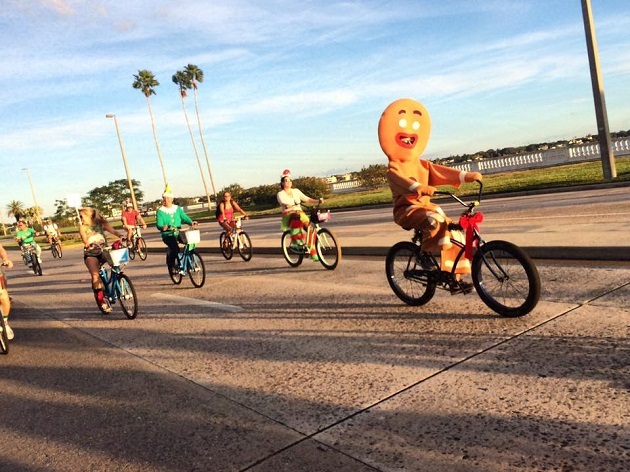 Grab Your Bike and Costume and Get Ready for Fun at the Annual Winter Wonder Ride in Tampa! During this holiday season, there is no need to worry about being bored or running out of things to do in Tampa at Christmastime. This year, Tampa has many fun activities that will fill up your holiday schedule, one of them is The Winter Wonder Ride! The Winter Wonder Ride is a charity event presented by Onbikes, a non-profit organization that helps kids at-risk to get their very first bicycles and helmets. The Bike ride starts from Curtis Hixon Park to Bayshore Boulevard, along with many beautiful sceneries in downtown Tampa. The theme of this year is Light It Up, and of course, you're always welcome to show up in your most crazy holiday costume! Other than the bike ride, there will also be Peer-to-Peer prizes to help fund-raising and Family Fun Zone for families and kids. If you want to join the community to earn cool prizes from fund-raising, you can visit Onbikes website to get it started. As for Family Fun Zone, activities including Glazer Museum experiments, face painter and carnival games, and kids get cool prizes for playing the games! The general admission ticket for this event is $55, general admission ticket with frosty mug bracelet for $80, and VIP tickets are $125. GA ticket includes a Winter Wonder Ride t-shirt and bike valet where your bike will be safe when you’re enjoying the post-ride celebration. GA ticket with frosty mug bracelet includes a wristband that you can get five drink tickets for just $20, access to the post-ride celebration, and t-shirt, bike valet included. VIP ticket includes everything plus access to the Reindeer Lodge with unlimited drink and food options. 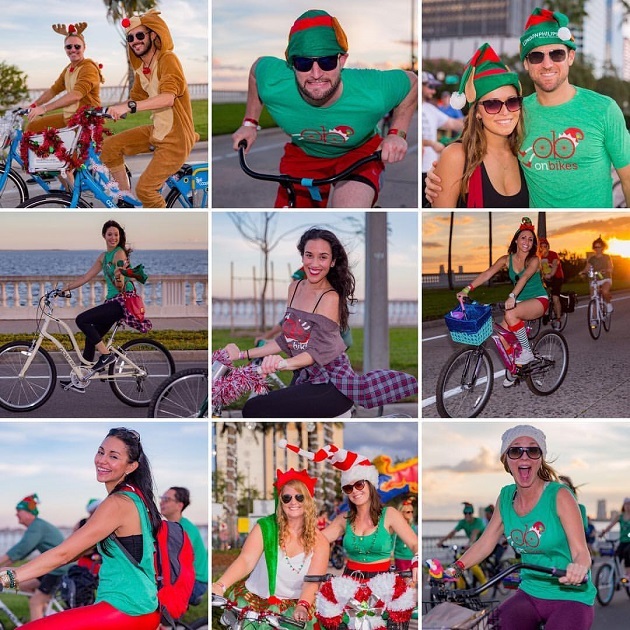 The Winter Wonder Ride kicks off on December 8, from 2 p.m. to 10:30 p.m. at Curtis Hixon Park and the family fun zone goes from 2 p.m. to 4:30 p.m. We're excited to see what costume you will be dressing up to the event. Grab your bike and costume and get ready for some fun! If you're looking for a full list of holiday events in Tampa this season, check out 813area, your local guide to everything in your city!